Advantages: Excellent casting; accurate; improved detail compared to kit parts; simple parts breakdown and cleanup. 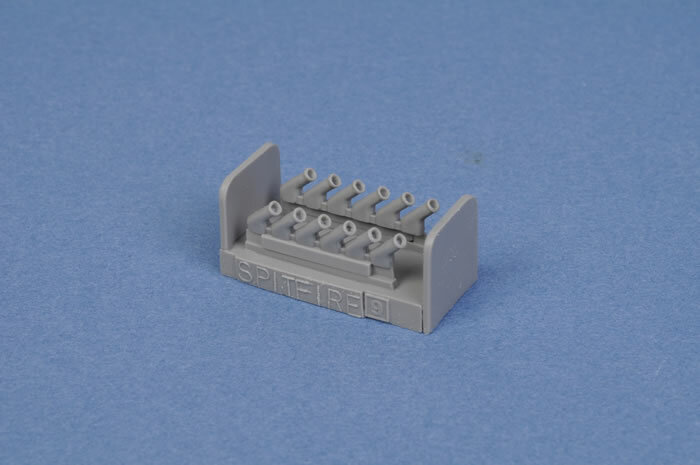 Quickboost continues its prolific release schedule with a number of recent releases in 1/48 scale. 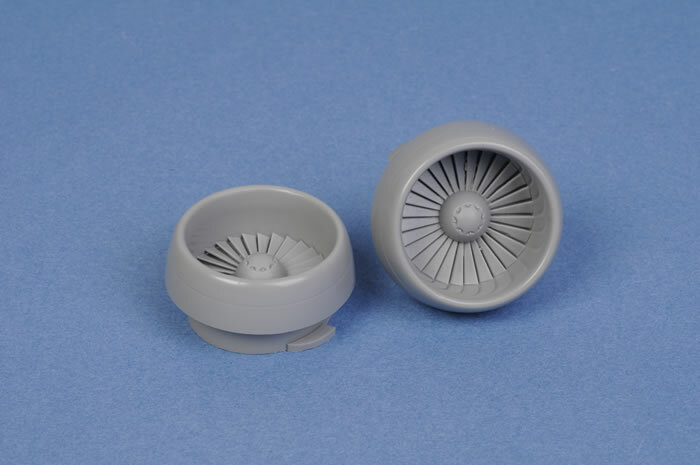 Probably the most noticeable flaw in Italeri's 1/48 scale A-10A Thunderbolt II is the incorrect fan blades. Quickboost has now addressed this issue with their replacement fan blade and intake units. These will be simple, drop fit replacements for the kit parts, and will make a noticeable difference to the look of these prominent units. 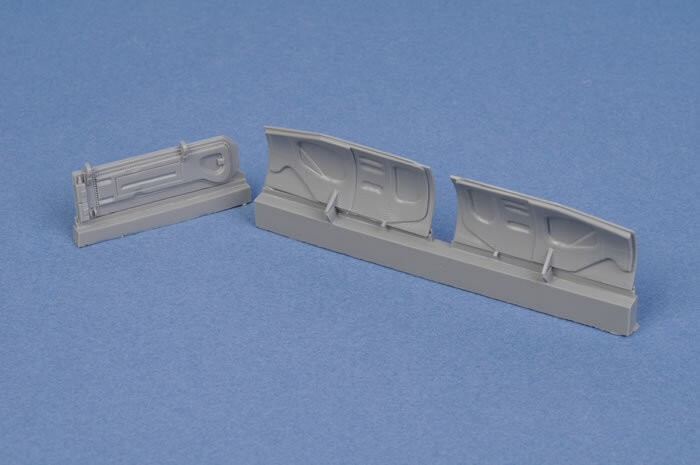 Crisply detailed replacements for the machine gun barrels in Eduard's F6F-3 and Hellcat Mk.I/II kits. 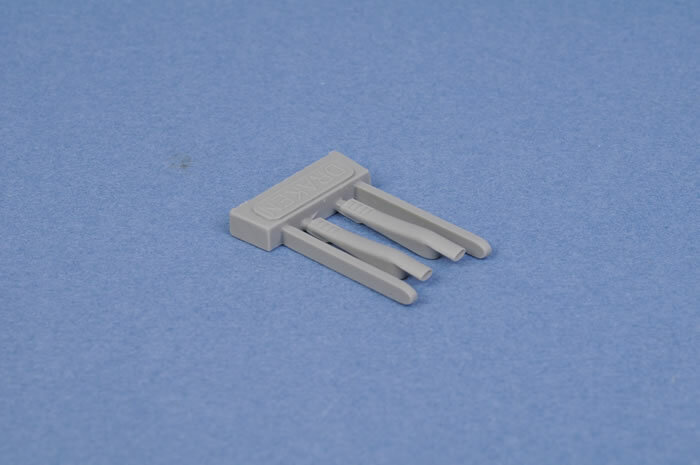 Replacement exhausts for Tamiya's Storch with hollowed out ends. Replacement exhaust stacks for Hasegawa's kit. These are the rounded syle, and feature hollowed out ends. 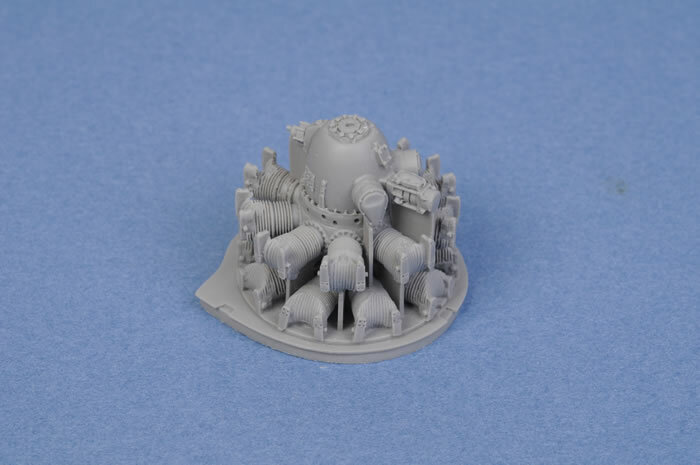 This is a beautifully detailed replacement for the early R-2800 engine in Tamiya's P-47D Razorback and early Bubbetop kits. The crank case detail and cooling fins are especially well done. You will need to add your own push rods and ignition harness though. 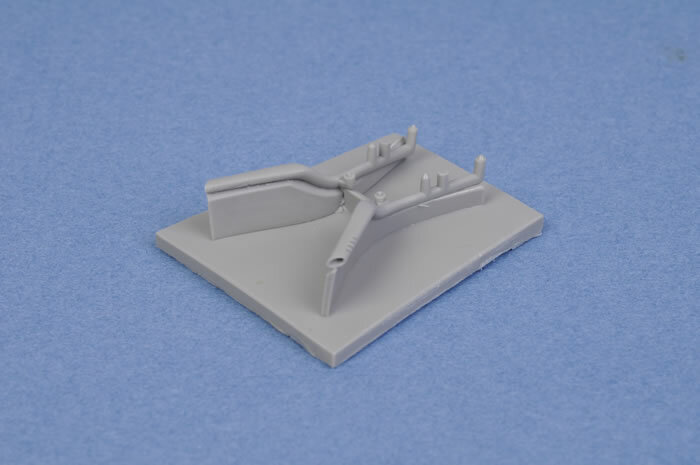 Replacement exhausts for Hasegawa's excellent 1/48 scale F4U-7 Corsair. These feature hollowed out ends. 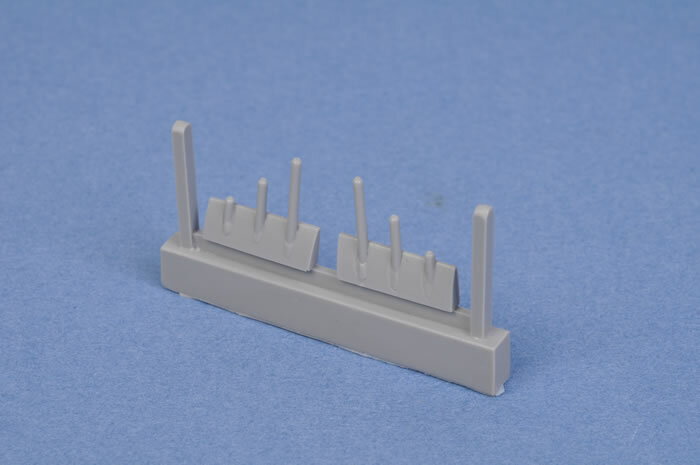 Both these accessories will be suitable for Hasegawa's 1/48 scale Saab Draken releases. 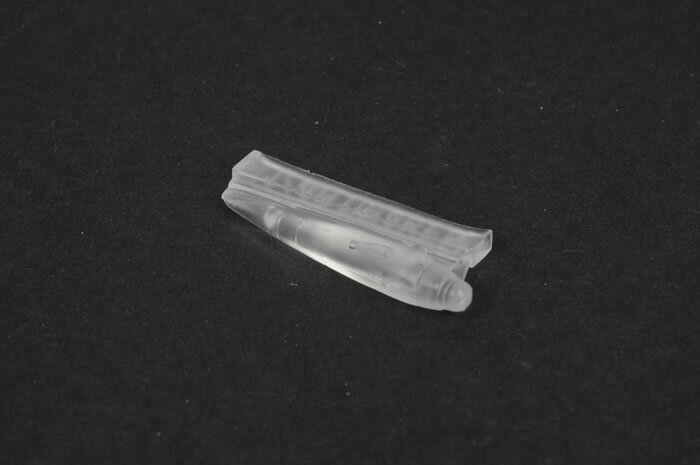 The IR detector is cast in clear resin, so the end of the part may be masked and left clear. 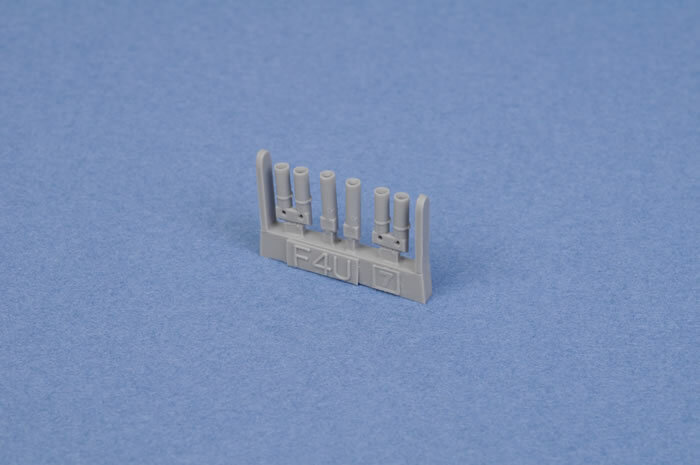 These are simple to fit and well detailed replacements for Hasegawa's family of F-16 kits.